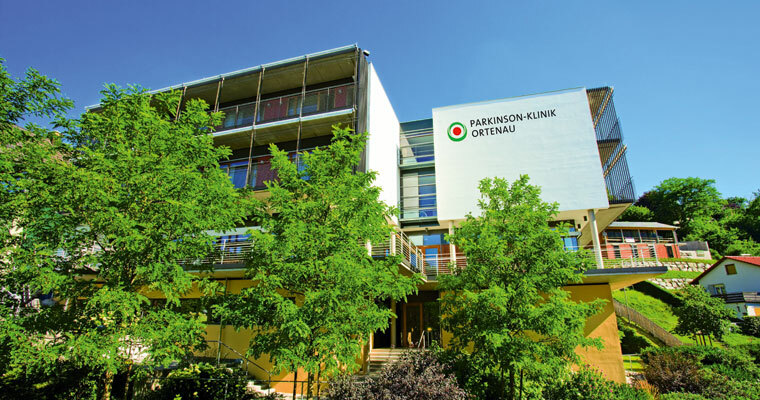 The Parkinson’s Disease Clinic Ortenau is a neurological acute care hospital that focuses on diagnostics and treatment. The clinic was founded in 1953. Since then, more than 35,000 patients suffering from Parkinson’s disease or other related movement disorders have benefited from the experience and expertise of the treating doctors and therapists. With 55 beds, the specialist clinic offers patients a framework that is not too complex. The light and airy, comfortable patient rooms and a lovingly designed park ensure peace and relaxation. An instruction for hospitalisation from the treating general physician or specialist doctor is all that is required for admission to the clinic. Approval by the health insurance fund is not necessary. Private medical aid patients and private patients (self-payers) also have the option of outpatient treatment by the clinic’s chief physician, Prof Dr med. Wolfgang Jost. The well-being of patients is the top priority of our doctors, therapists and the nursing staff. Their goal is to alleviate the physical and emotional complaints of patients, to maintain patients’ independence and to improve the quality of life of both patients and their families. The personal and very intimate atmosphere between the Parkinson’s Disease Clinic and its patients, which also relies on private sponsorships, significantly contributes to this. 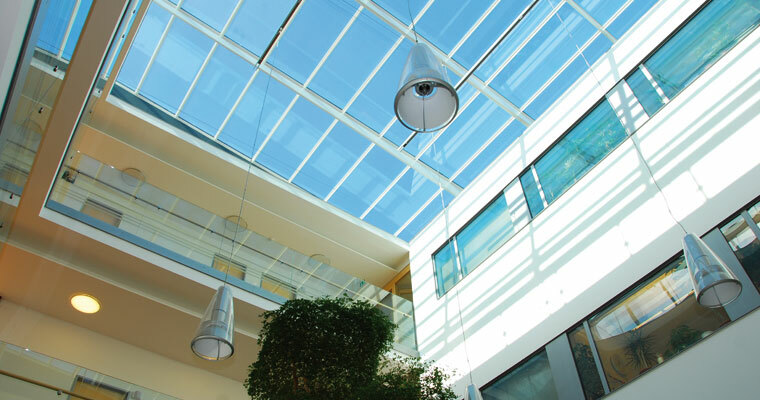 In order to maintain this claim, patient satisfaction is regularly surveyed and the range of treatments optimised. The clinic’s quality management has already gained multiple certifications. 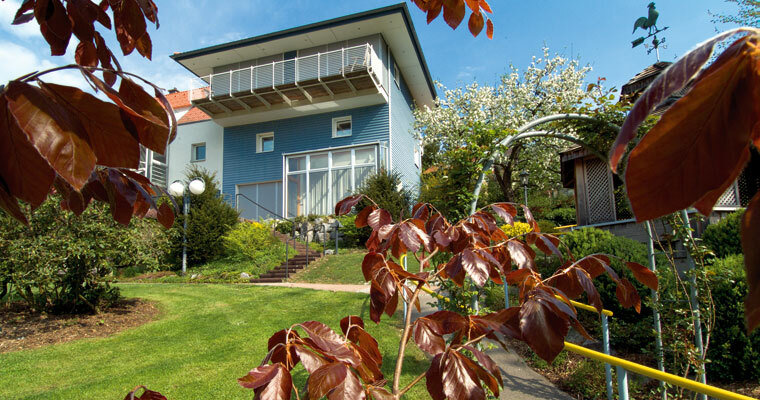 In October 2003, the so-called “Bettenhaus” (house of beds) was inaugurated within the framework of the 50th anniversary of the clinic. 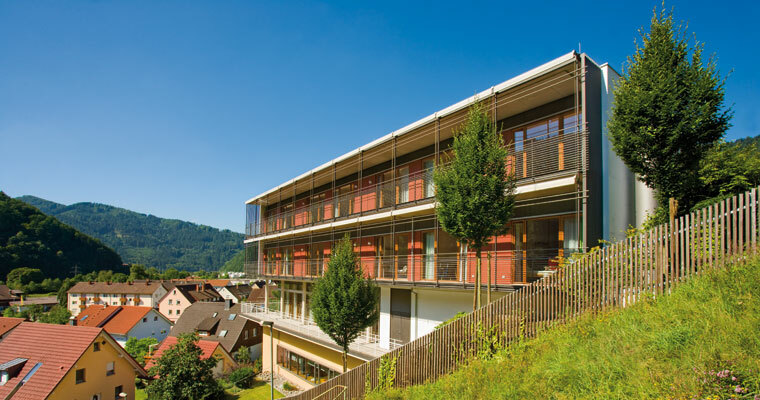 The generously designed new building is home to 30 patient rooms - mostly with a panoramic view of the Black Forest - a 176 m² gymnastics hall with integrated climbing wall, therapy and conference rooms, a TV room and library, an oratory and meditation room, a dining hall as well as an open meeting room in the atrium. The adjacent 10,000 m² park-like therapy grounds were designed with functionality in mind. With many steps, inclines and plains the grounds support the holistic treatment concept of the clinic. In treatment-free periods, lots of benches, pavilions and a lovingly landscaped pond invite patients and guests to relax. 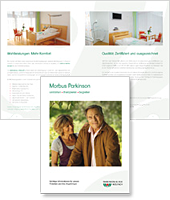 Patients of the Parkinson’s Disease Clinic Ortenau have the option to choose additional services to the general hospital services. Optional services are billed separately and are for the patient’s account if the patient does not have private medical aid or private additional insurances that will cover the costs for the optional services. The optional services can refer to doctor’s services (treatment by the chief physician) or to accommodation. 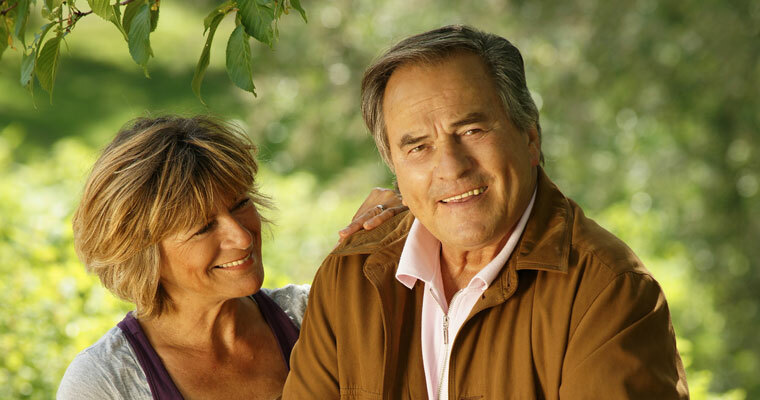 In addition to accommodation in a single or two-bedded room, the optional accommodation service includes various service and comfort benefits, for example care by a service team which is available to run personal errands outside of the clinic for you as well as for contacting the Parkinson’s Disease Help Wolfach Association. 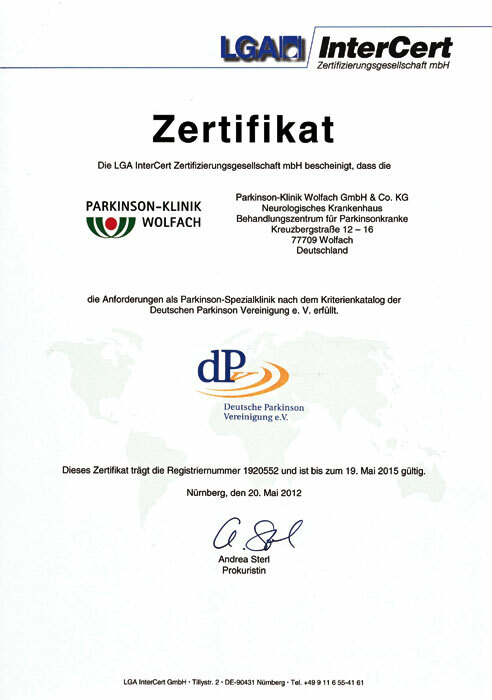 1997 marked the start of a systematic and certified Quality Management for the Parkinson’s Disease Clinic Ortenau. The certificate according to DIN ISO 9001, awarded by the German Association for the Certification of Management Systems (DQS), requires regular audits and improvement of treatment and care services offered, based on patient satisfactory. The central philosophy and daily obligation of all our employees entails putting the patient and his family in the foreground of all efforts. The friendly and intimate atmosphere between the clinic and the patient contributes substantially to the holistic therapy approach. 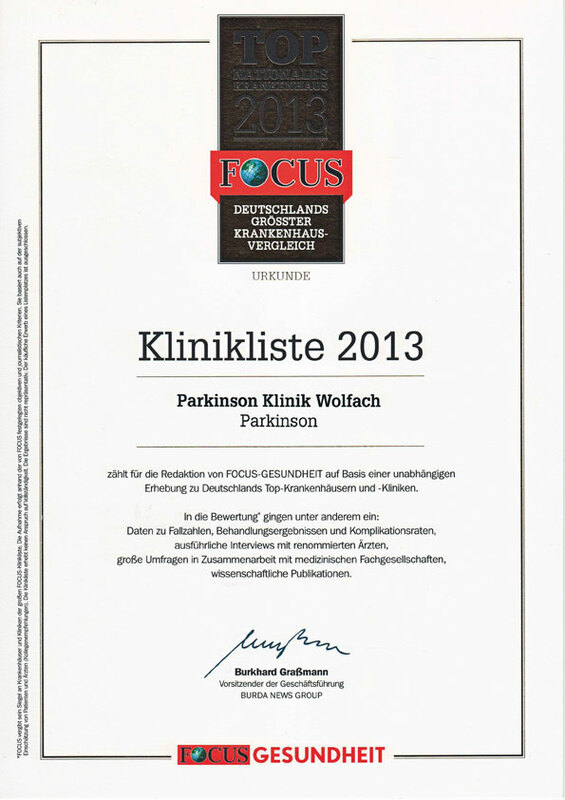 Regular conferences held at the Parkinson’s Disease Clinic Wolfach, hosting scientists and clinicians, ensure the consistent integration of latest scientific findings in the treatment range.